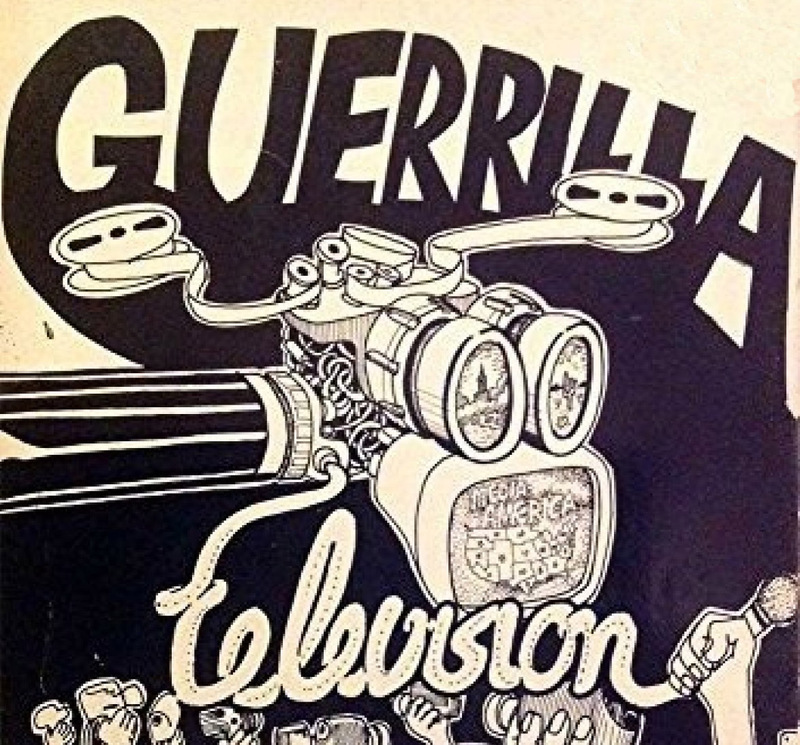 In Michael Shamberg’s epic manifesto on the emergence of radical television in the late 1960s/early 1970s, you could just as well replace ‘television’ with ‘networked media’ to chronicle the ongoing struggle between the individual and the control systems of technological power. The battle has been waging for generations against the establishment media, whether it be broadcast television or the corporate behemoths who today rule our global telecommunications. In the era of Shamberg’s Guerrilla Television, it was the portable video camera that empowered a new generation, a “weapon of consciousness (to quote William Burroughs) that could call the war game in question.” In 1971, the war game was Vietnam, civil rights, the war on drugs, women’s lib, et al. Today, the media weapon of choice has emerged as the mobile phone and the ensuing war game is centered around the control of networked information, cybersecurity, surveillance, and illicit social media infiltration that has impacted fragile democratic rights. Both Postman and Shamberg explore the loss of control when the elite powers define and shape the technology of the culture through mass marketing, branding, sloganing, and other forms of corporate propaganda. The techniques of techno brain-washing easily wash over the populace, in terms of the information we consume, how we digest it, and the way we are seduced into participation by the media culture defined through aggressive mass marketing. But within the media culture arise the renegades, thinkers, and troublemakers, who recognize that they too can appropriate techniques of media and propaganda for purposes of choice, freedom, and collective agency. In the mid-1960s, the Sony Portapak altered the dominance of broadcast television by bringing to artists and independents the means to create their own television, tell their own stories, and invent new narratives that weren’t being televised by the Big Networks. It was the radical Yippie guerrilla activist Abbie Hoffman, who in the late 1960s, convinced the Videofreex collective to hack into the airwaves and transmit the first pirate television in America from their alternative communal studio in upstate New York. The Videofreex, along with other activist media collectives including Raindance, Ant Farm, and TVTV, were staging a media revolution throughout the 1970s using diverse platforms that included print publication (Raindance/Radical Software), iconic art works (Ant Farm/Media Burn), and underground broadcast journalism (TVTV/Four More Years, 1972 Republican Convention). Nearly fifty years later, the use of guerrilla media to challenge the technological corporate establishment is so pervasive and complex, it would require a full length book to describe the myriad of techniques, projects, and initiatives that drive the artists, journalists, bloggers, educators, environmentalists, and political activists to create tactical apps, surveillance systems, networked public sculptures, social media, streaming media, et al. The guerrilla media practitioners of today are pursuing a counter media agenda building on the work of previous generations to wage their own battles against corporate media hegemony. So let this be a call to action! Take heed from the past, from media histories, from those who have been fighting against Media-America since the beginning of electronic time. Those of us who have taken up the challenge are part of a long lineage of guerrilla media warriors, who simply, and unequivocally, don’t take no as an answer. The war can only be won when it’s ultimate objective is to change consciousness.